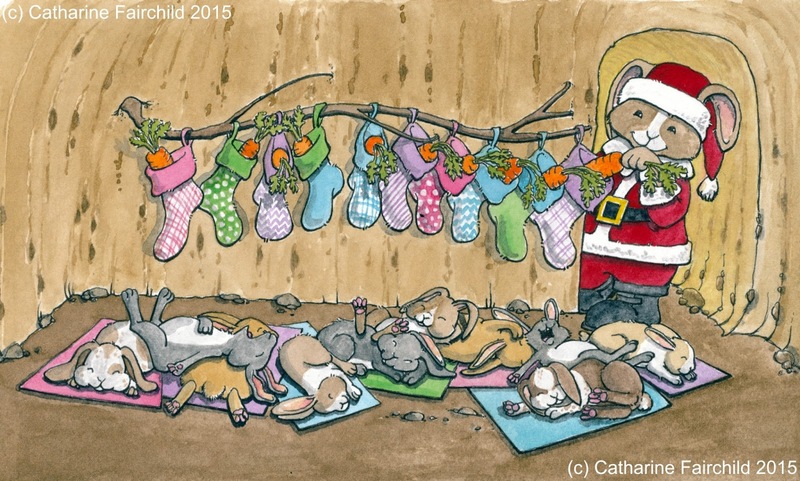 Inspiring Felicity: Stocking Stuffers (7) - Bunnies!! Fills my mug as well as yours. In his sleigh the reindeers pull! So "Twas The Night Before Christmas" can be read. Christmas morn will be filled with glee! This is another favourite! So many bunnies!! I set to work fitting ten bunnies into the little burrow room! comfortable - there really is nothing quite like big families!! loved ones this holiday season!